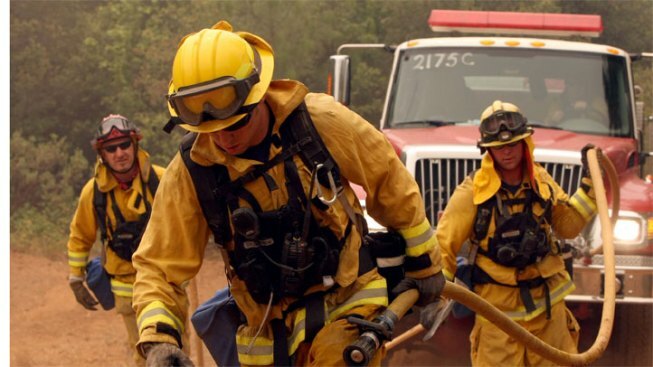 the Texas Forest Service says a record 248 counties have outdoor burn bans as the drought continues during oppressive summer heat. The agency reported Monday that the only Texas counties lacking bans on outdoor burning are Brooks, Chambers, Jefferson, Orange, Willacy and Zapata counties. 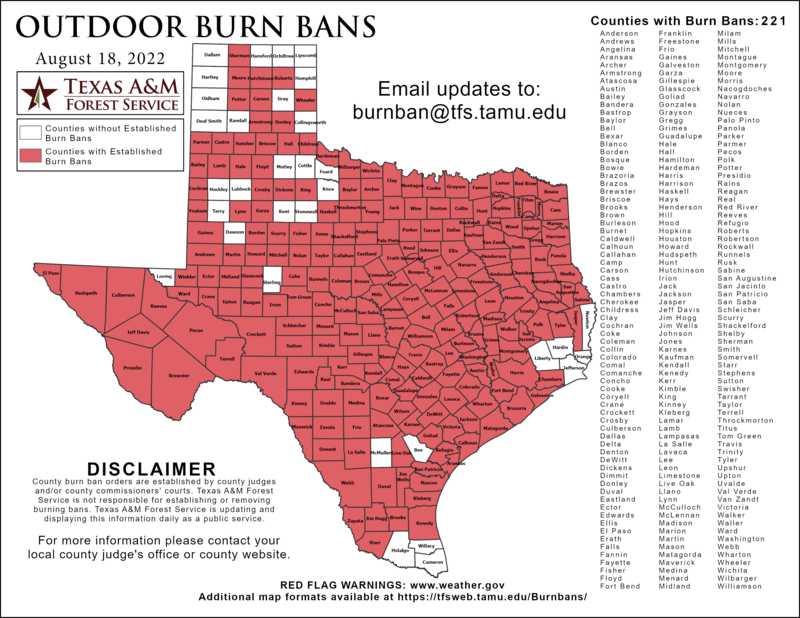 The previous record, prior to this year's drought, was set in January 2006 with 221 Texas counties having outdoor burn bans. That mark was passed in June. The National Weather Service says north and central parts of Texas are under an excessive heat warning until Thursday night, with the heat index possibly exceeding 110 degrees. Some of the cities in the warning area are Dallas, Fort Worth, Greenville, Killeen, Sherman, Sulphur Springs, Temple and Waco.